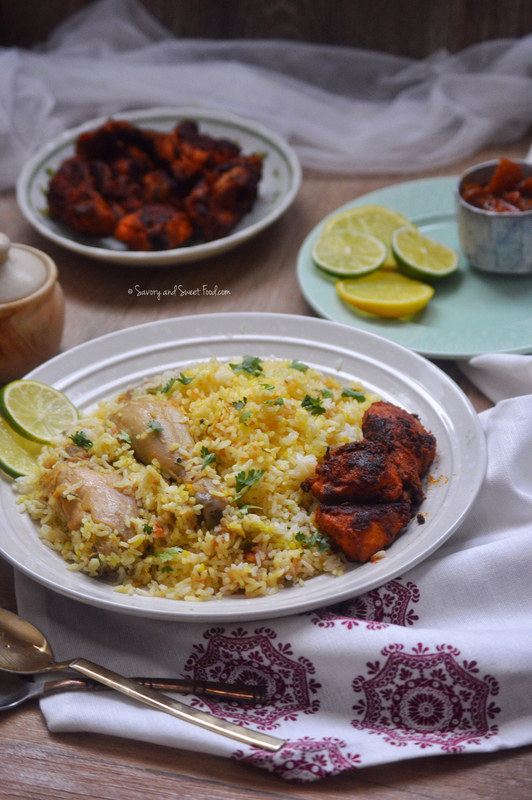 A very quick Malabar Chicken Biryani which can be made in a jiffy and is a true indulgence. 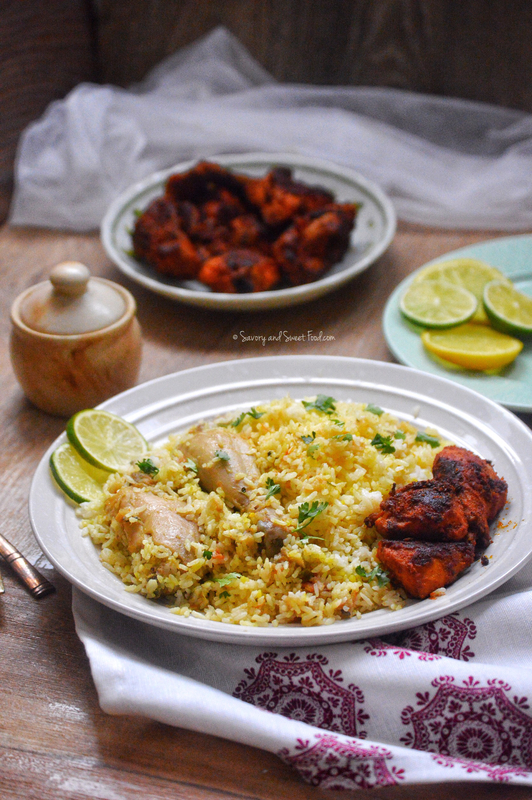 This recipe is perfect when you are not in the mood for the long sautéing process that comes with making any biryani. My Husband is a die-hard fan of biryanis. 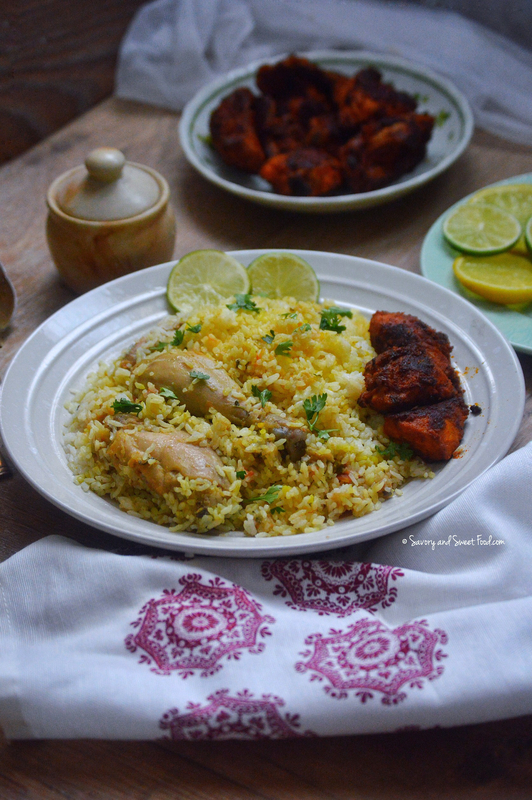 And this is his most favorite biryani and there is a specific reason for that – this is his moms recipe. Everybody loves their moms food, particularly husbands. 😀 I can totally understand why he puts this biryani above any other biryani recipe. It is one of my favorites too. 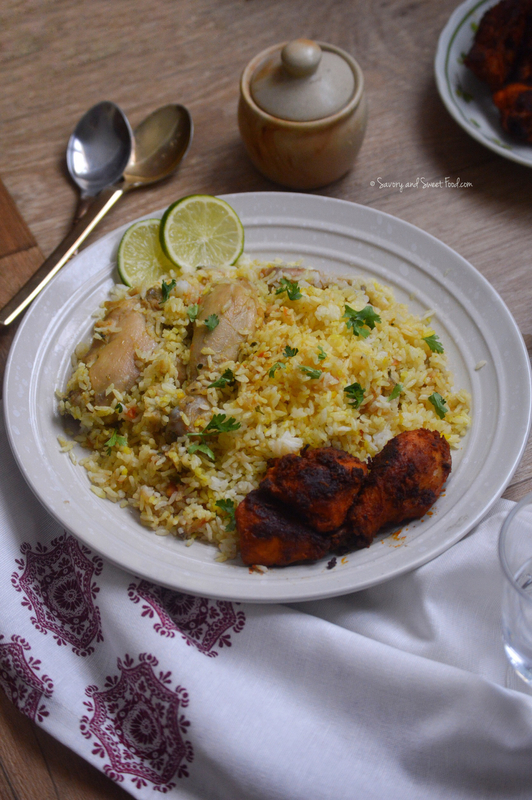 I make this almost every weekend and some week days too when Fadal craves a taste of his home. In this recipe, I really like the fact that you don’t have to sauté the onions, ginger, garlic and tomatoes when making the masala. Just dump everything into the magic vessel, “The Pressure Cooker” and it will do the job very neatly. Uma doesn’t add any masala powder to this, even then it is flavor packed. In a pressure cooker pan, heat oil and add the whole garam masalas (cloves, cinnamon and cardamom). Once the aroma gets released, add in the onions. Add salt. Stir once and close the pressure cooker lid. Keep on high heat and let two whistles blow. Let the pressure get released and then open the lid. The onions should turn very soft at this time. If it didn’t, close the lid and let one more whistle blow. Add ginger garlic paste plus green chillies and stir around and cook for a minute. Add in the tomatoes. Mix well. Close the cooker lid again and let two whistles blow. Open the lid. At this point there will be lots of water that is released from the masala. Add the cleaned chicken pieces to the masala and cook on high heat for 20 minutes, stirring in between. Once the chicken gets cooked and the gravy thickens well, add in the chopped coriander leaves. Mix well. Pour the boiled 5 cups of water. Pour in the rose water. Add in the salt. If you feel that the masala is too much, don't add the entire masala to the rice while layering. 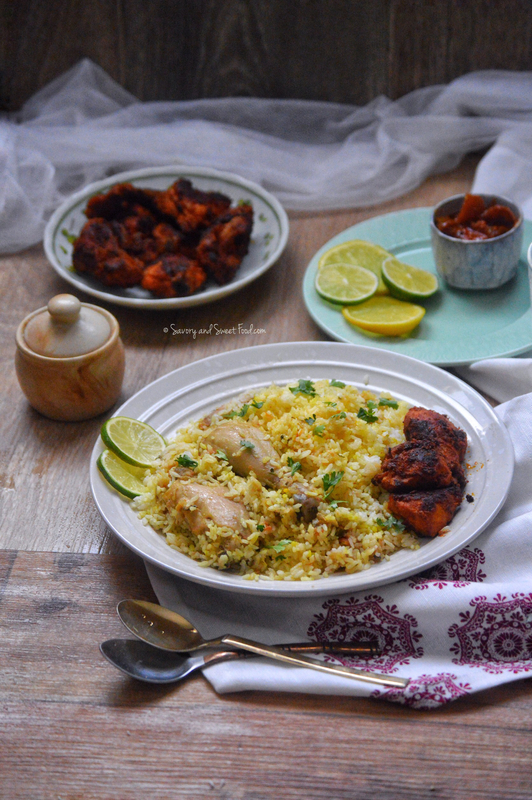 Reserve the left over and serve it alongside the biryani and it can be used if needed. Thank you for your wonderful recipes! I love your post and recipes! Do you think you could put some recipes of tandoori chicken, lamb chops and steak? Would really Love to attempt to make those. I am very sorry for replying so late. I somehow missed your comment. I will post your requested recipes soon in the blog, in shaa Allah. Btw there is a lamb chops masala recipe in the blog.